What happened to Lace Star???? I received a call from a professional dressmaker friend of mine, who had sent a particular client to Lace Star on 40th Street for inspiration and shopping, only to find that the store was no longer there! In this dismal economy, stores are shuttering faster than you can blink, and she was certain that this store had gone down the sudden, sad path that so many others have taken... that is, until she checked the internet, and discovered that they had moved! Well, I was relieved to hear this, since they truly are a gem of a store, and I stopped in at the new location this week. On the third floor of a happy building on 38th Street, I stepped out of the elevator, made a quick left turn, and discovered... 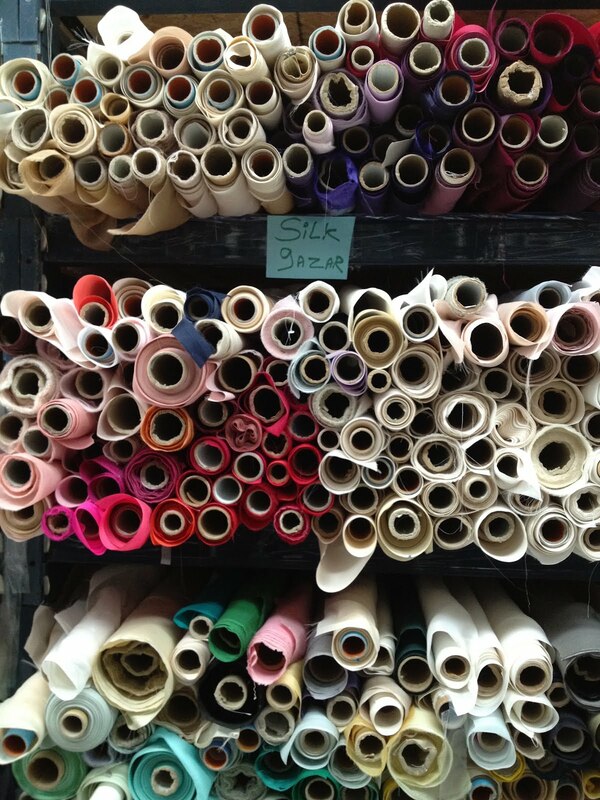 FABRIC WONDERLAND! 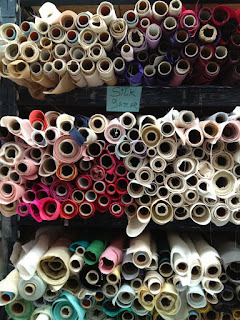 Okay folks, not only did they move... they have improved, expanded, and have the greatest, and most organized selection of delicious fabrics anyone could ask for! Take that, economy! 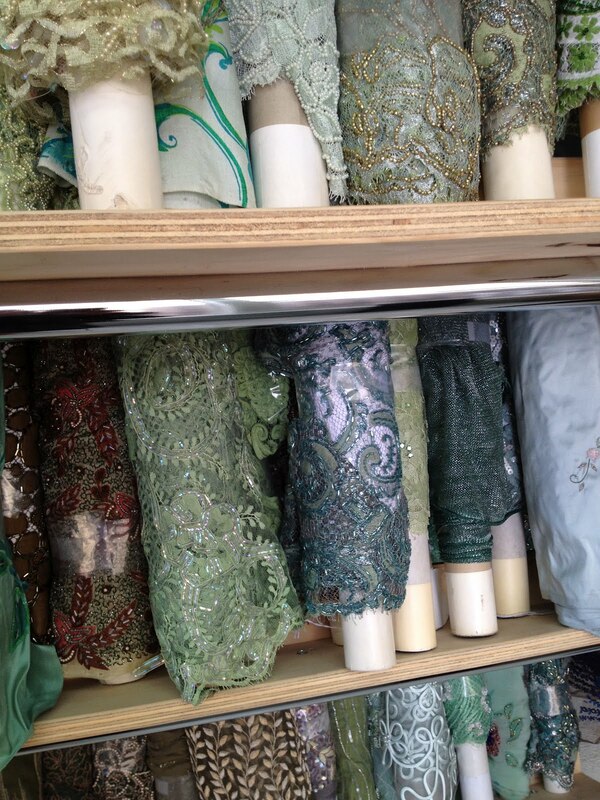 They now have a new division/company, quite aptly named "Fabrics & Fabrics", which carries many new fabrics including brocades, cottons, silks, laces, woolens, velvets and more. The delightfully kind and polite salesperson, Rahman, was there to greet me and explain the selection and layout to me in such an incredibly patient way, that frankly, I wondered if I was still in New York City. Maybe I had taken the elevator straight to Oz (as in, the place where that famous wizard lives)? There's space to move... to dance, even... which is exactly what you will want to do when you see all of the beautiful things they've got. This is definitely not another "more of the same stuff" store. What appealed to me specifically, was a to-die-for beaded lace that was whispering my name softly from one of the shelves on my right. Apparently, Rahman heard it first, since he pointed it out to me, based on my loose description of what I was looking for. I was also impressed by the lovely array of colors available in that elusive fabric, silk gazar. I love silk gazar for its sculptural quality, and just last year, was able to get up close and personal with a beautifully executed Valentino dress I was rearranging for a client which featured a silk gazar ruffled skirt, and inspired some design ideas of my own. And yes, they have a website. 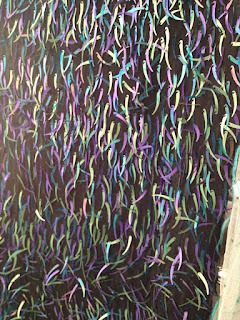 And, correct me if you've had a different experience... they also have another fabric I love, but have trouble finding... cotton organdy! Call me old-fashioned, but what lovely, feminine dresses (for women and girls alike) can be made using the stuff! Here's the deal. Daunted a bit by the prices, I did a bit of comparison shopping. On purpose. 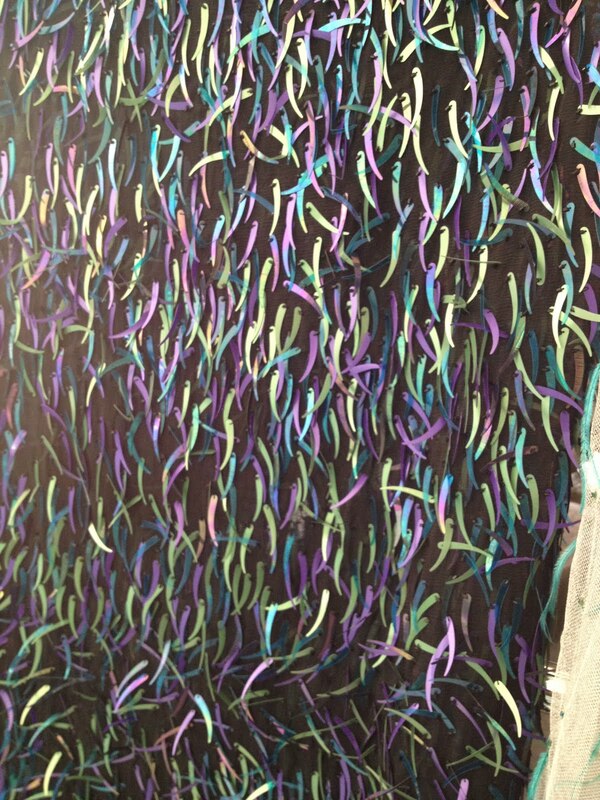 Looked in a few more stores to see what similar fabrics I could find. Guess what? Couldn't find comparable stuff. I had fallen in love with so many things, other stores felt like a let-down. A little more eye-candy for ya... Is it for the bargain shopper? Nope, but you also won't keel over. You'll want to shop here mainly for your special occasion fabrics, but you will need quite a bit of time to commune with the aisles full of bolts, so plan to spend a good while there.